There are plenty of places to swim on Castle Rock Lake, WI. a.k.a. 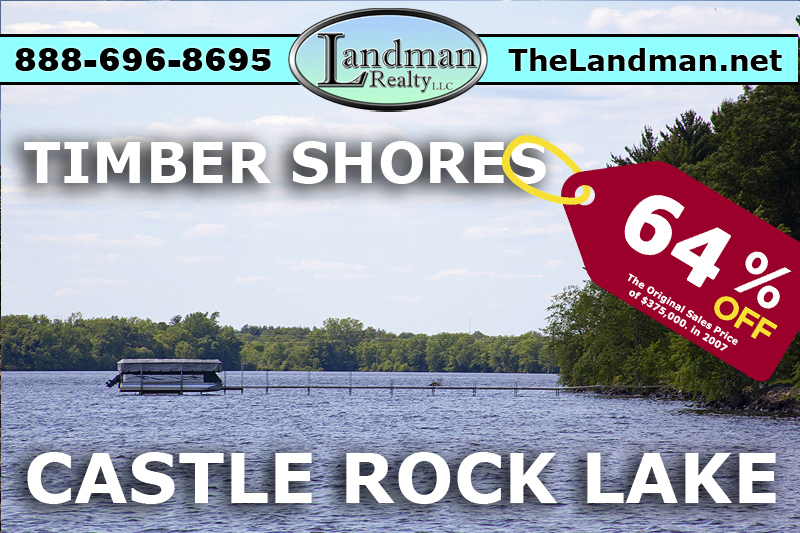 Castle Rock Flowage because the lake is mostly a sand bottom and has plenty of spots along the shoreline that are about 3 to 5 feet deep. Buckhorn State Park which is open to the Public has about 10 miles of frontage plus Wisconsin River Power Company allows public access in exchange for tax breaks. Wisconsin River Power Company - WRPC also owns plenty of acreage on the Adams County side of Castle Rock Lake mostly at the North & South ends of the lake. If you are looking for a nice sandy beach open to the Public for swimming there are 2 Castle Rock County Parks, one in Adams County and the other in Juneau County, WI. These two waterfront parks have lifeguards on staff part of the time. Castle Rock Lake does have an annual Triathlon 2010 will be it’s 15th Year. Swimmers will have to swim ¼ mile on Castle Rock Lake, then bike for 16 miles and run for the final 3 miles – Click here for swimming and other rules.